Here are more interesting frescoes and sculptures from the Aurangabad Caves which are more than ten centuries old. 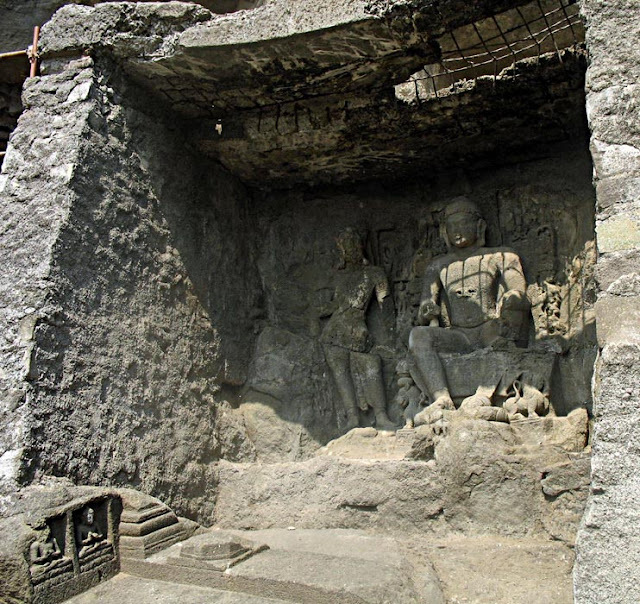 This Indian classical art is as good as any found at Ajanta or Ellora and are a treat for the eyes. Most of this art is from the exterior walls of the temple caves which are all Buddhist shrines. 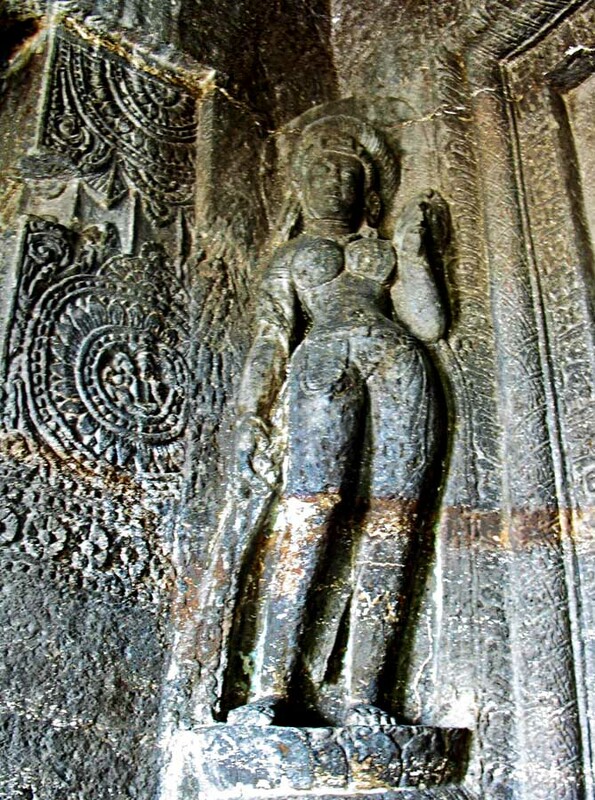 Here is a figure of a woman at the door of the caves, the entry into the Buddhist temple. Around her are decorated pillars. 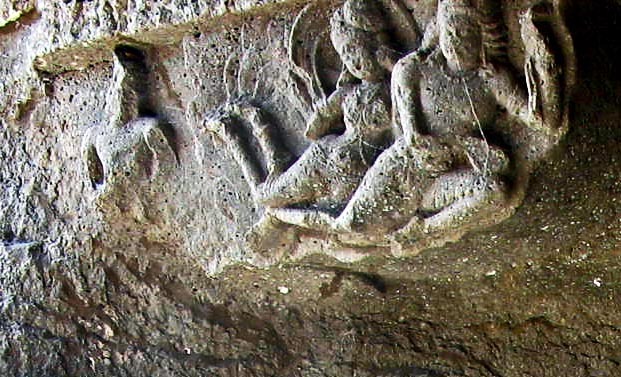 A shot of the angel type figures near the ceiling of these spectacular caves. 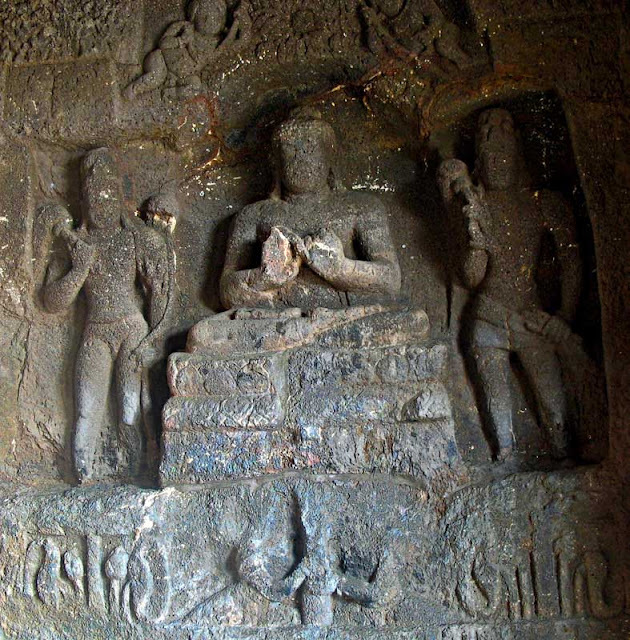 A sculpture of Buddha just outside the Buddhist temples of the Aurangabad caves. 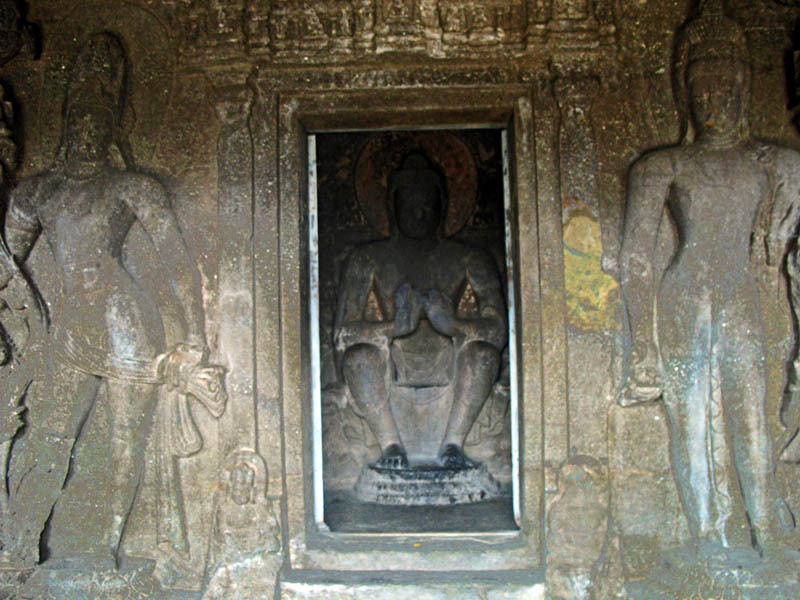 Another image of Buddha carved out of stone with some attendant figures on the side. Buddha is sitting with folded legs and hands. The throne on which he is sitting shows remnants of carvings. A peep inside the inner sanctum to see the diety of Buddha through a door. At the entrance into the sanctum are two large figures of Buddha. Or check out all images filed under Ajanta or Ellora, or try the label "Buddhism" for sculptures and shrines of Buddha from different parts of the world.